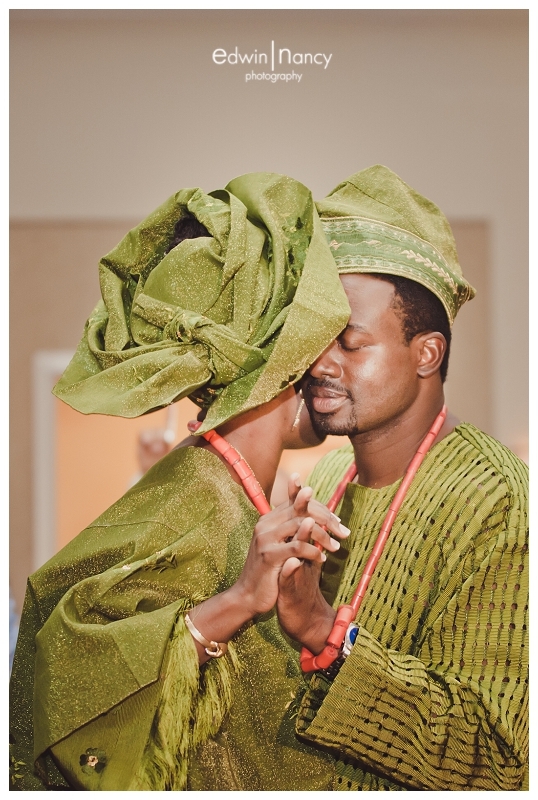 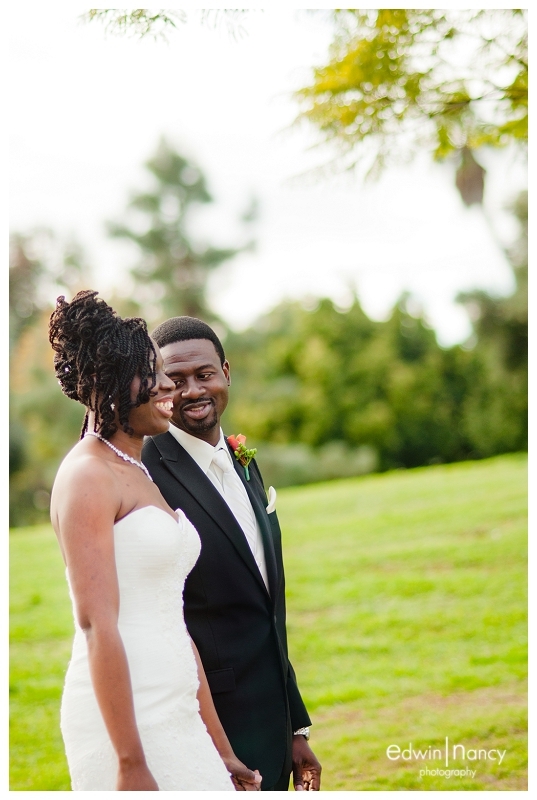 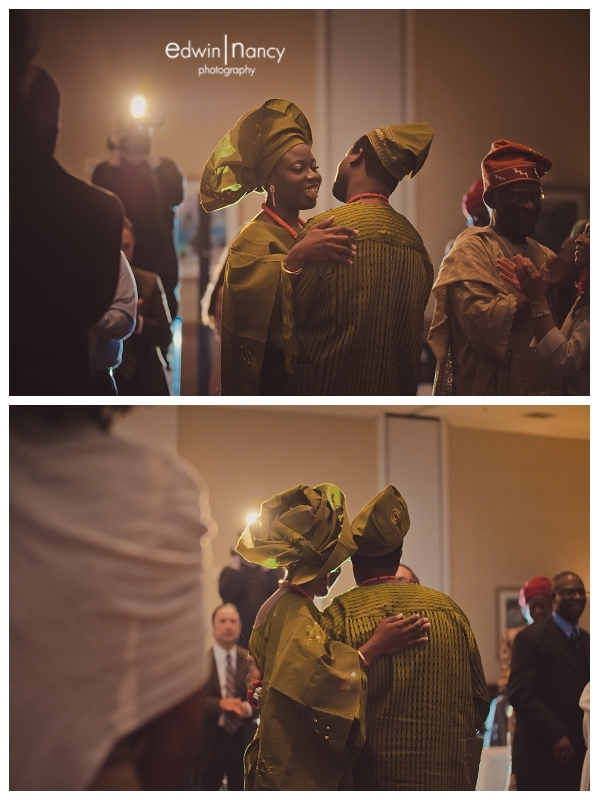 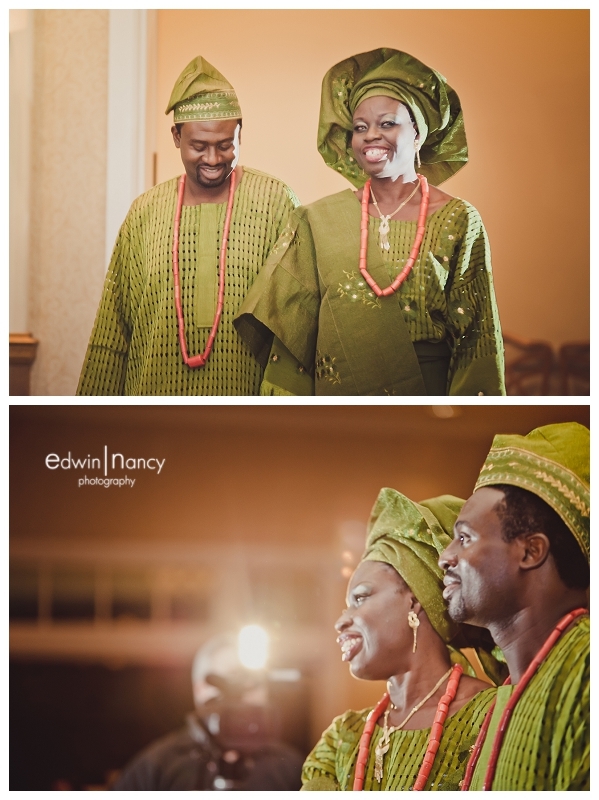 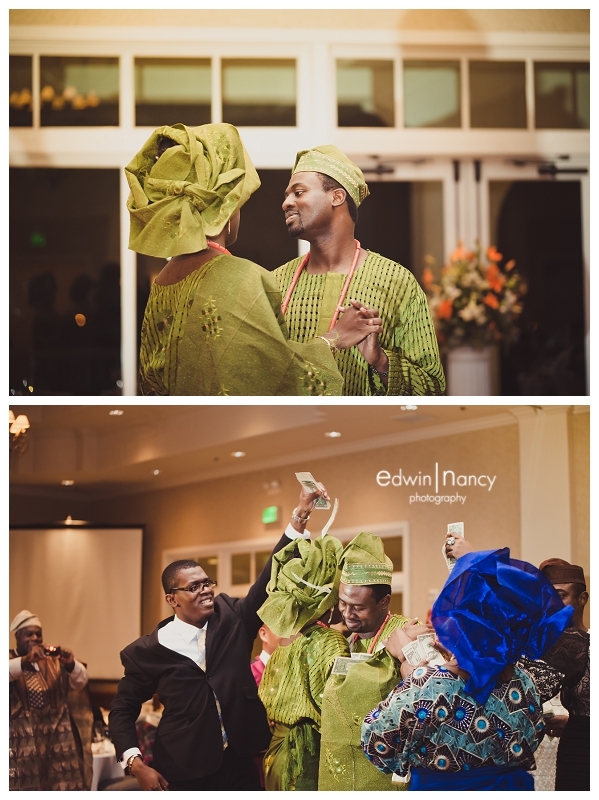 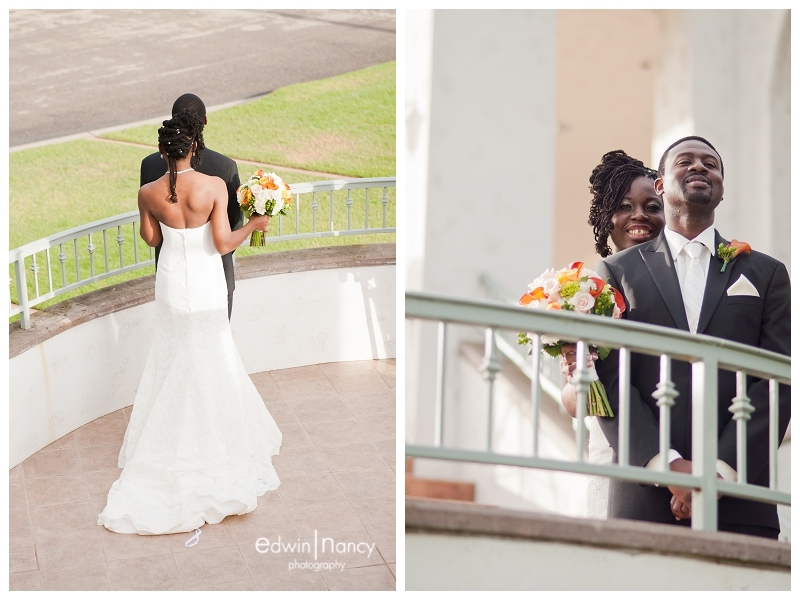 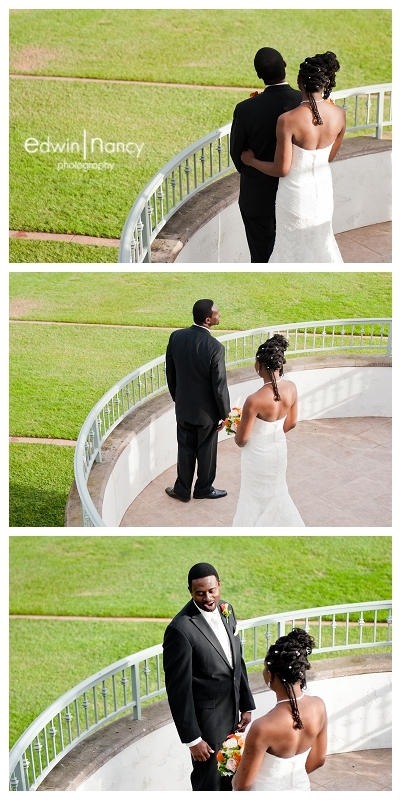 There is a certain anticipation in every groom the first time he sees his bride to be. 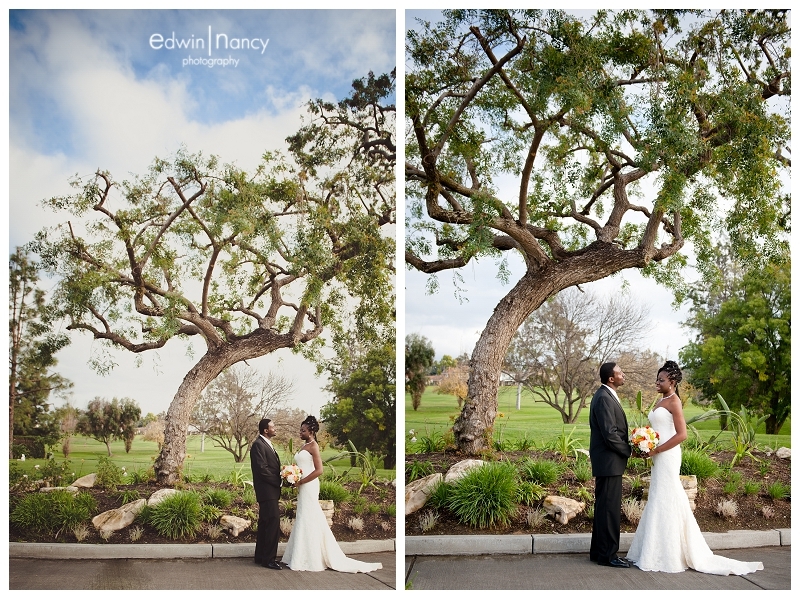 There is an energy that can not be recreated and a first look that if not captured will never be seen again. 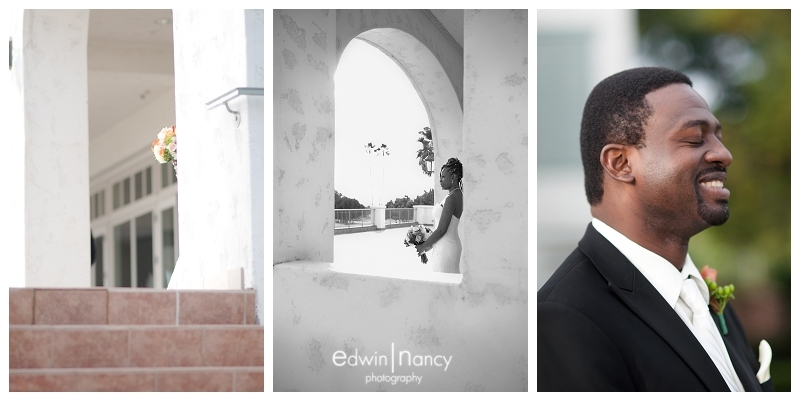 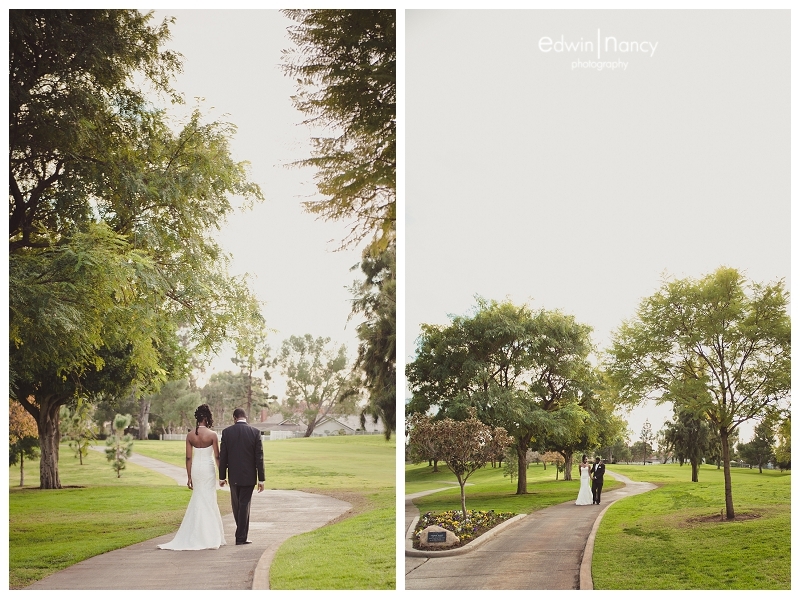 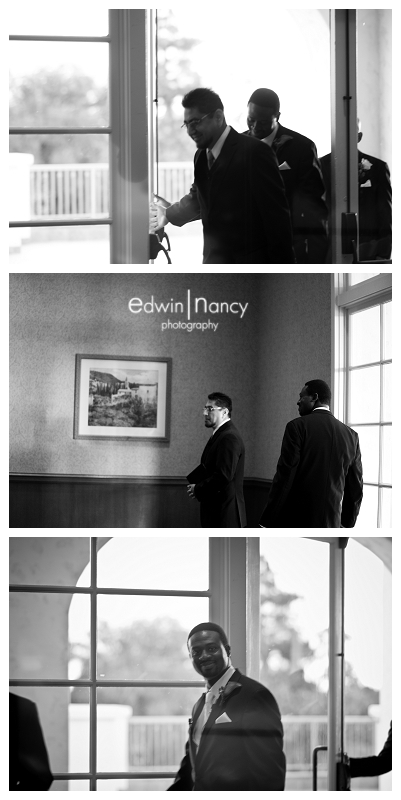 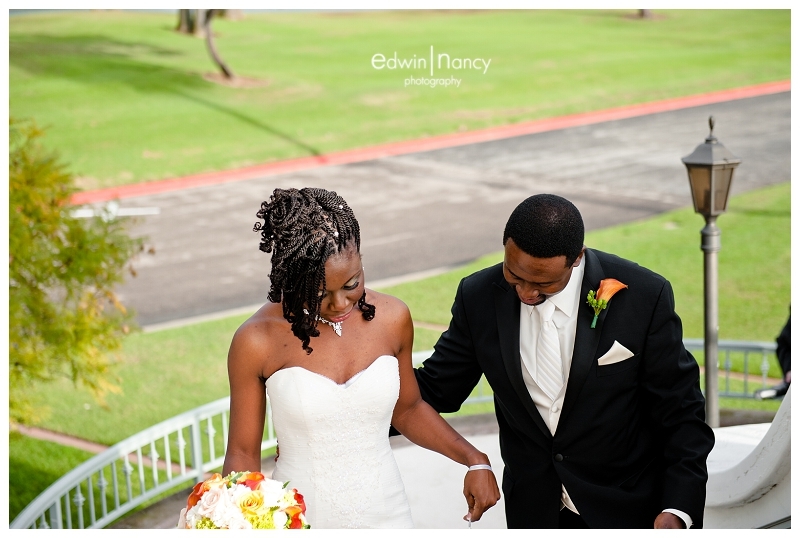 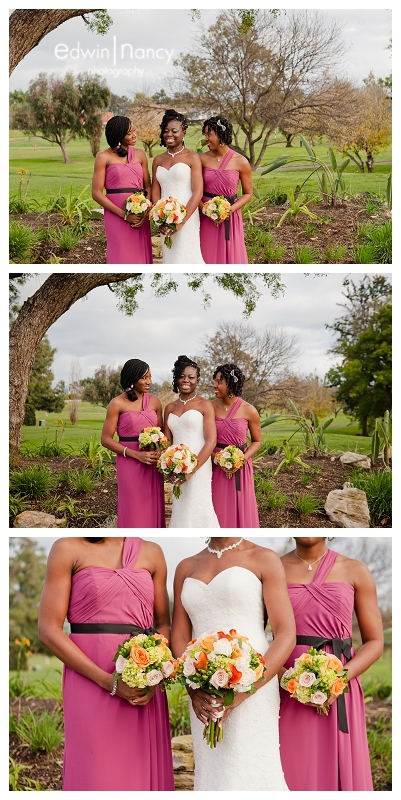 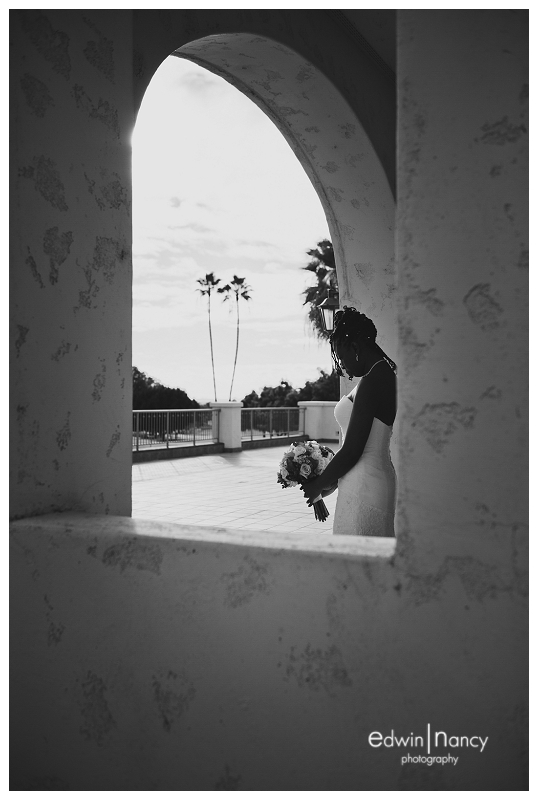 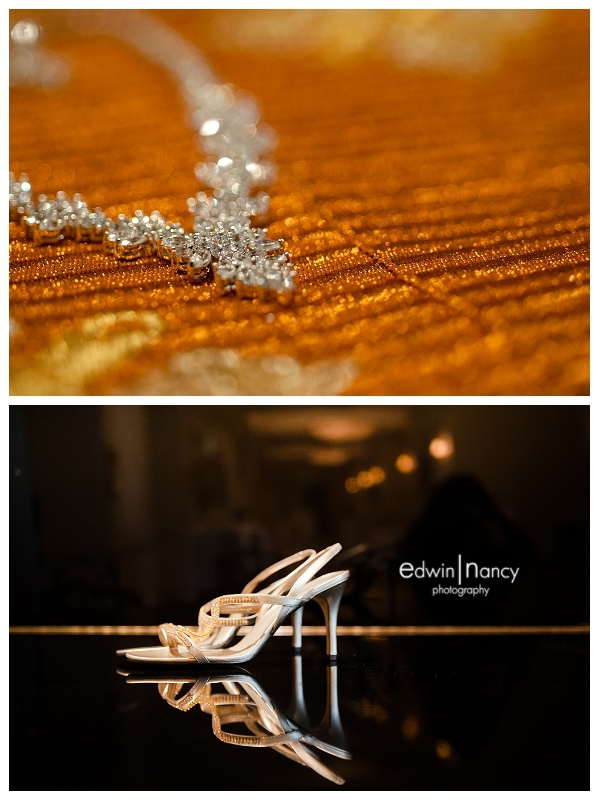 To us one of the most fun things to do is to coordinate a first look with our bride and groom before the ceremony. 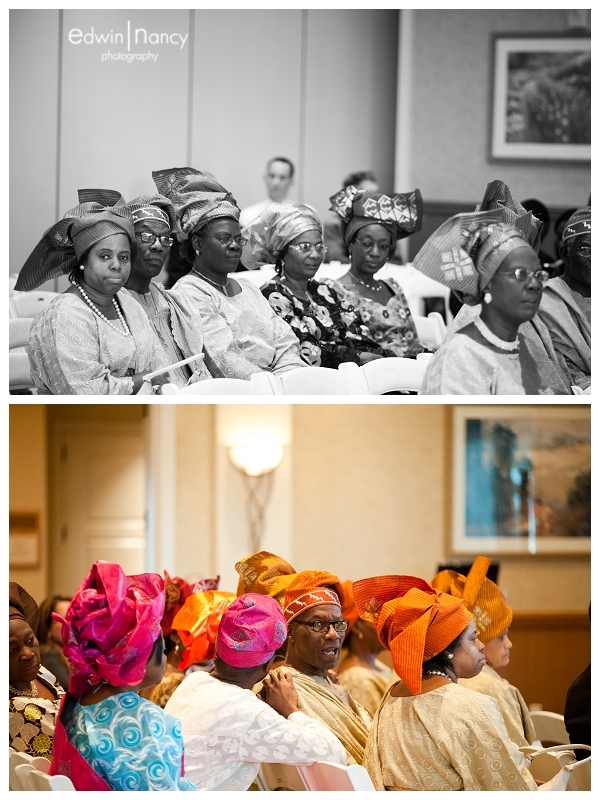 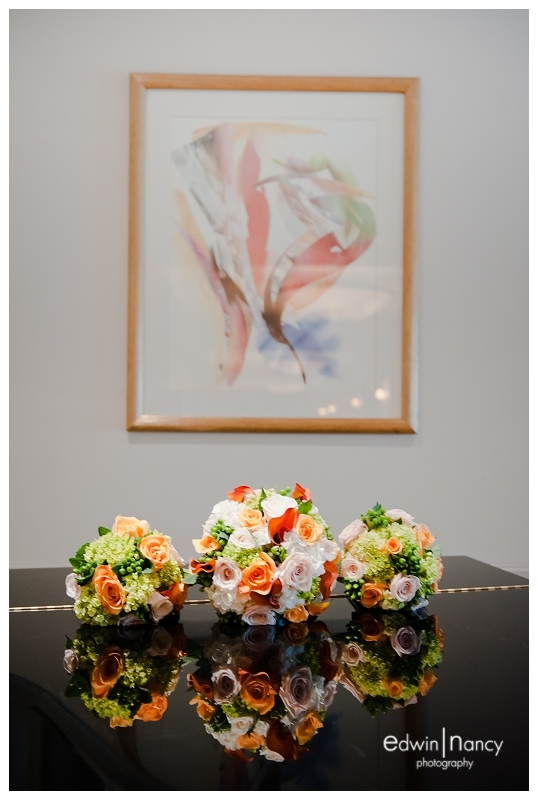 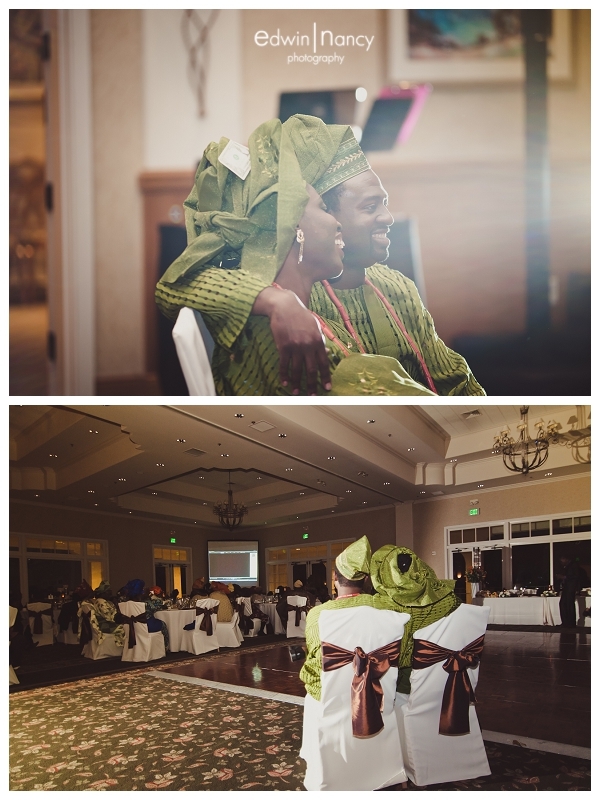 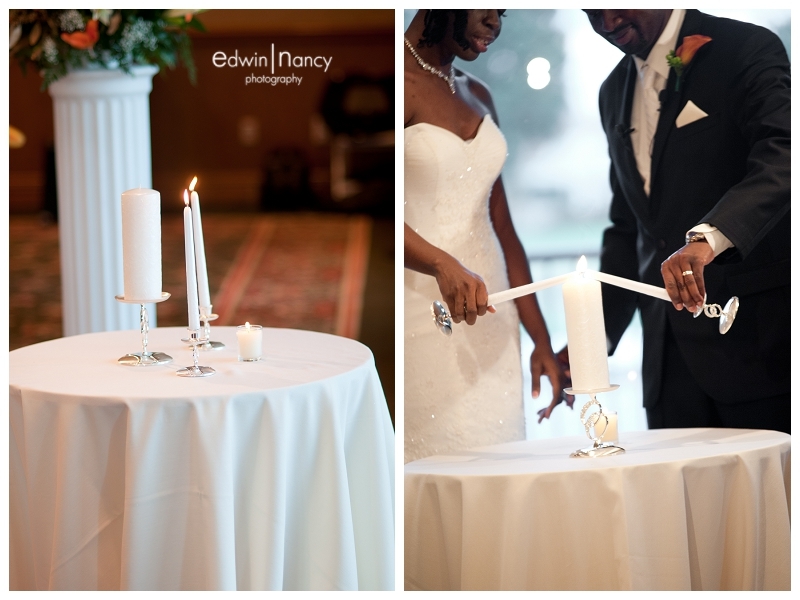 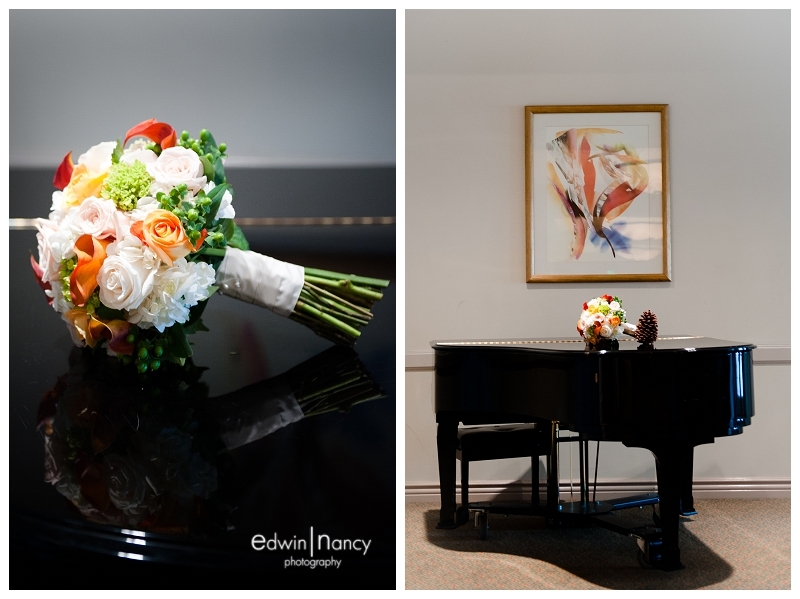 This allows for them to have a moment of piece alone and to release some of the nerves of their upcoming wedding. 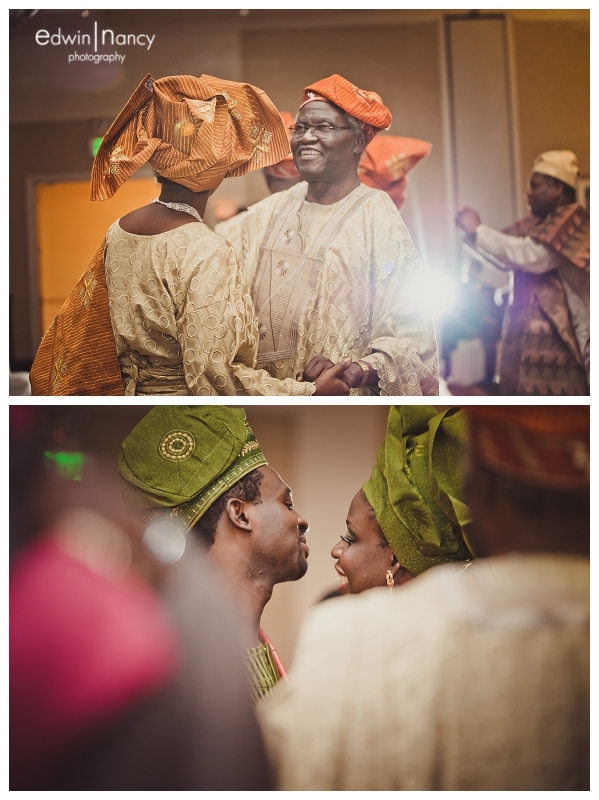 Its also something we get to have a little fun with since we are coordinating every step of it. 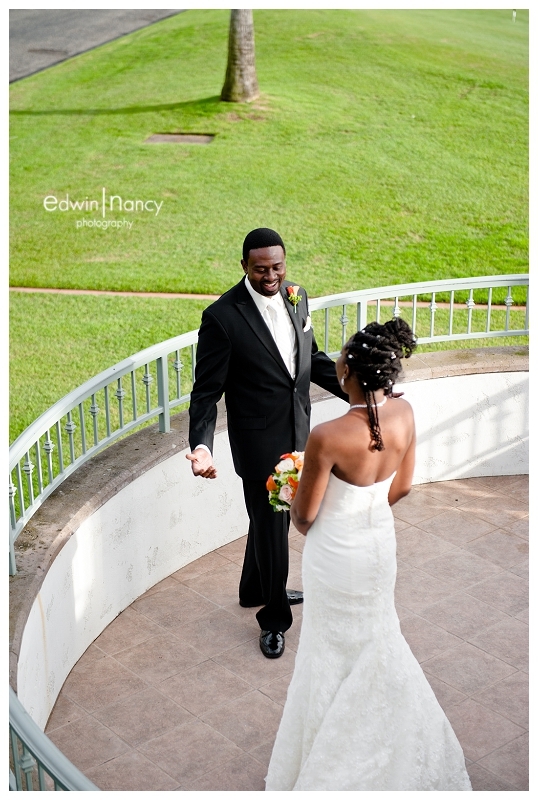 Yes we torture our grooms a little but its all in fun and it usually makes for a memorable moment. 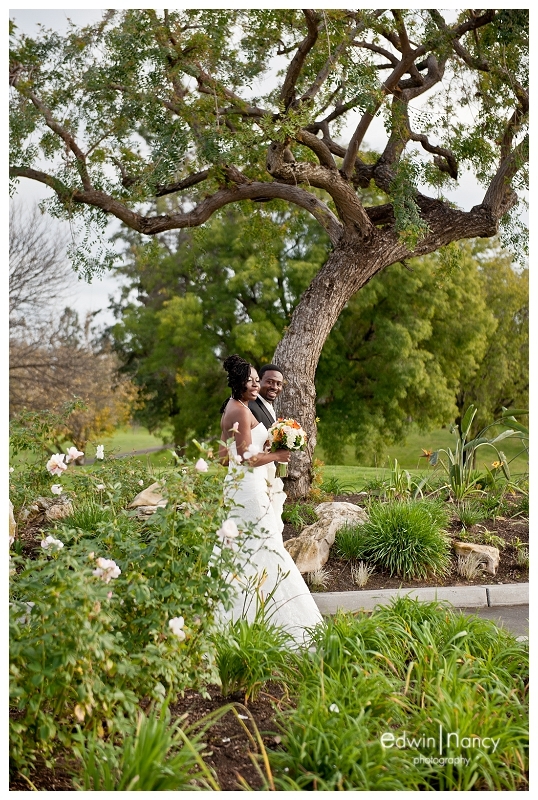 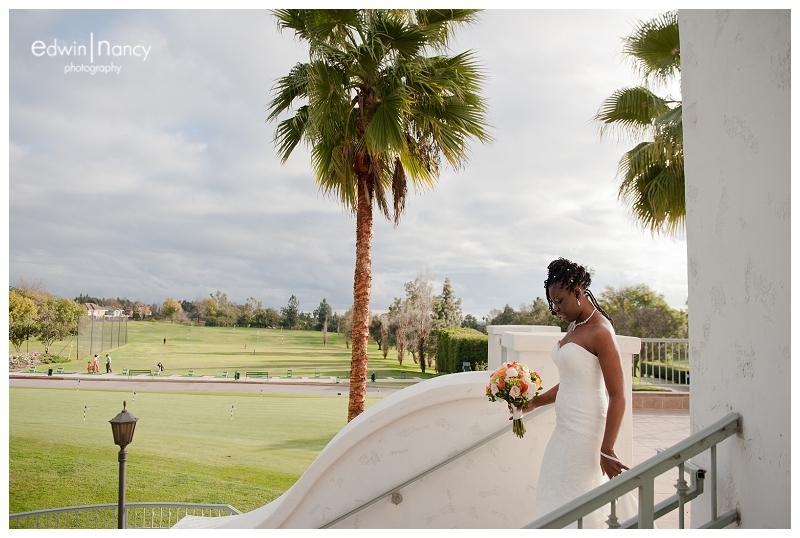 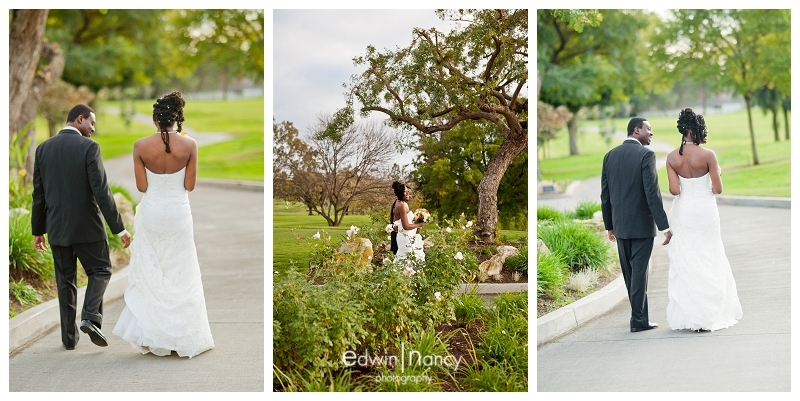 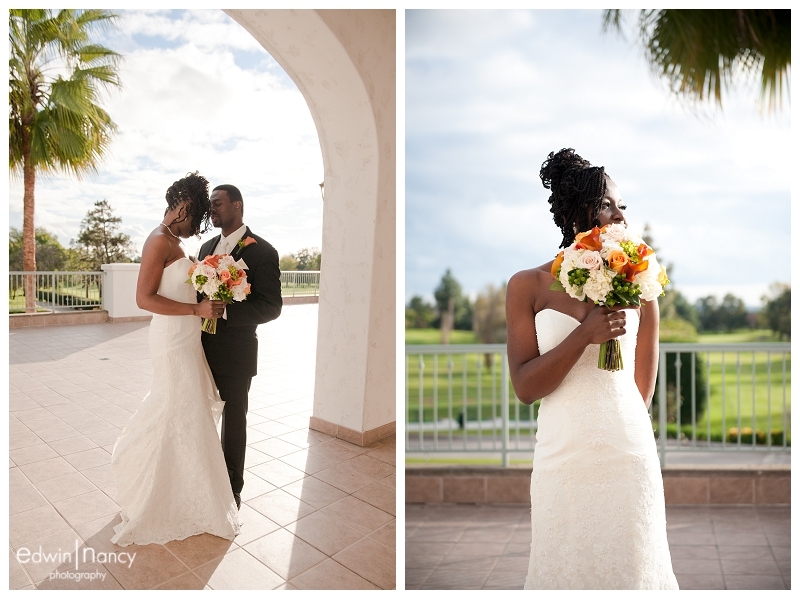 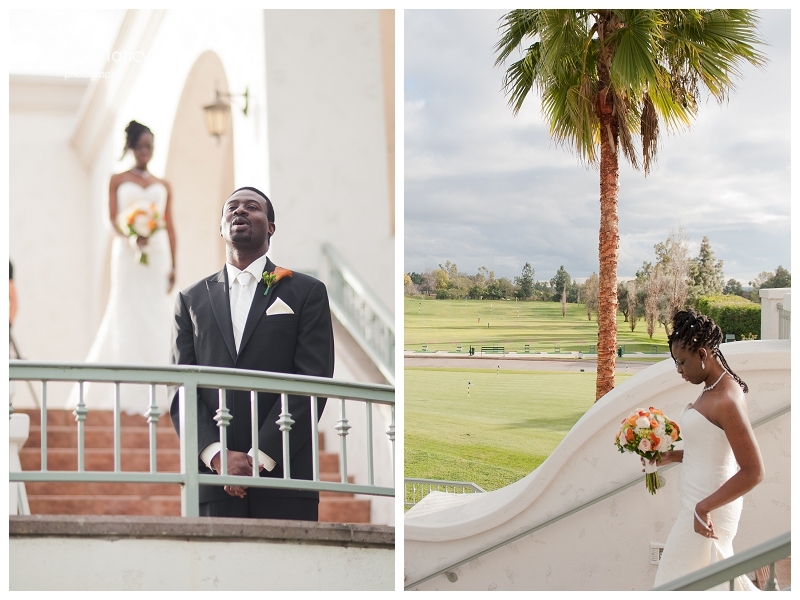 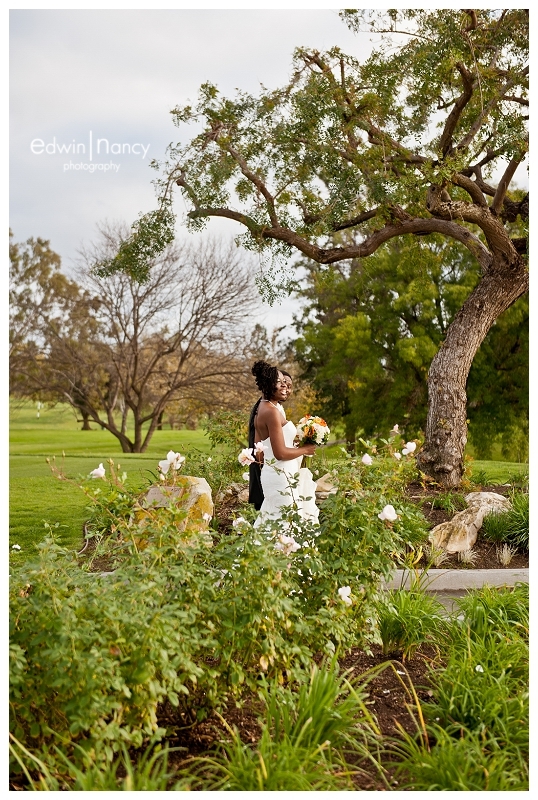 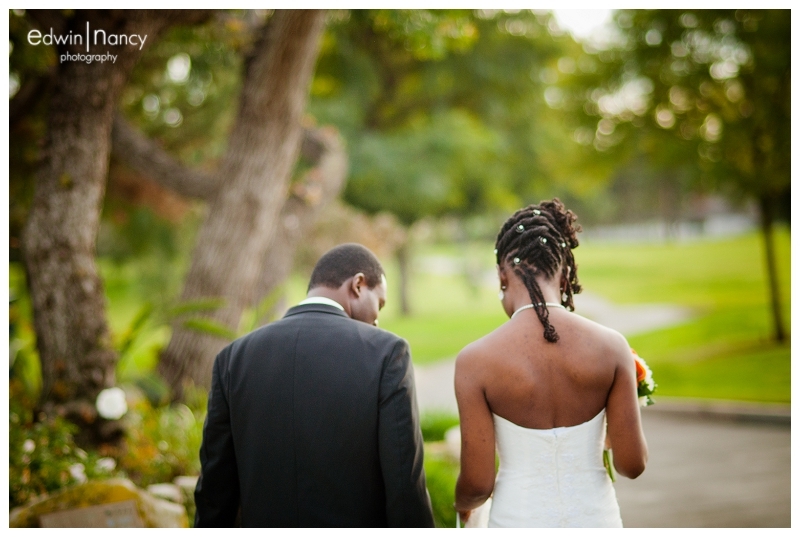 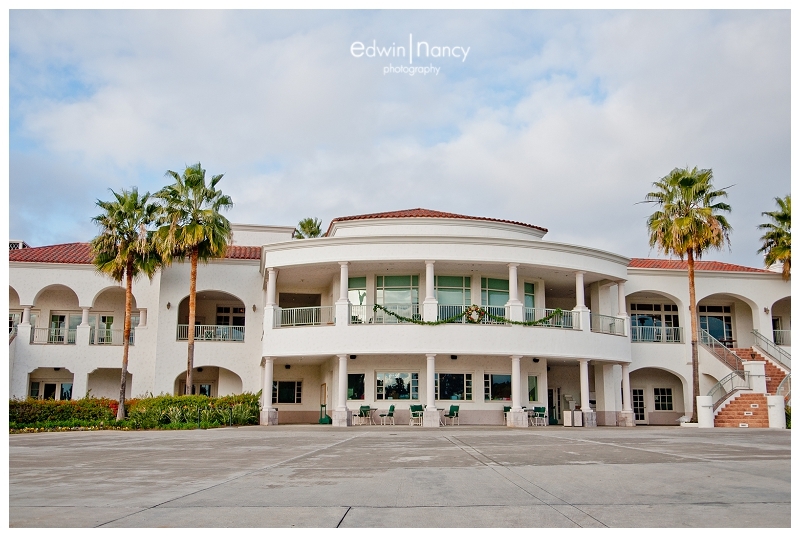 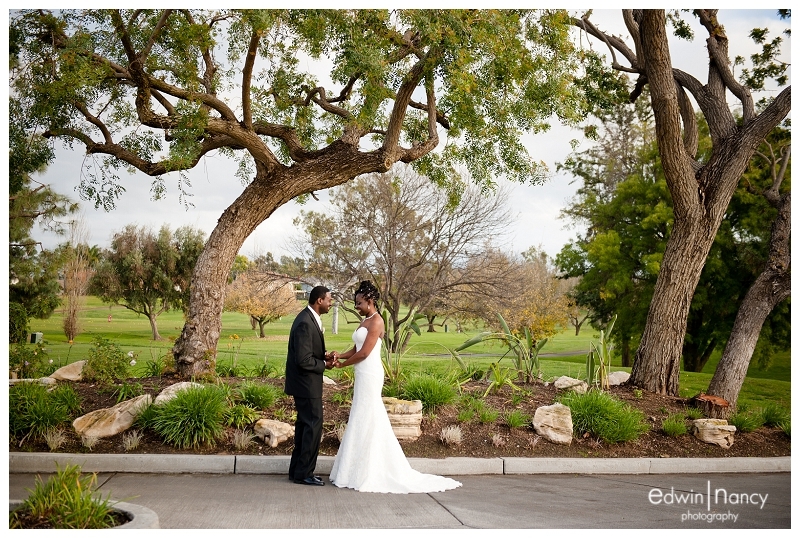 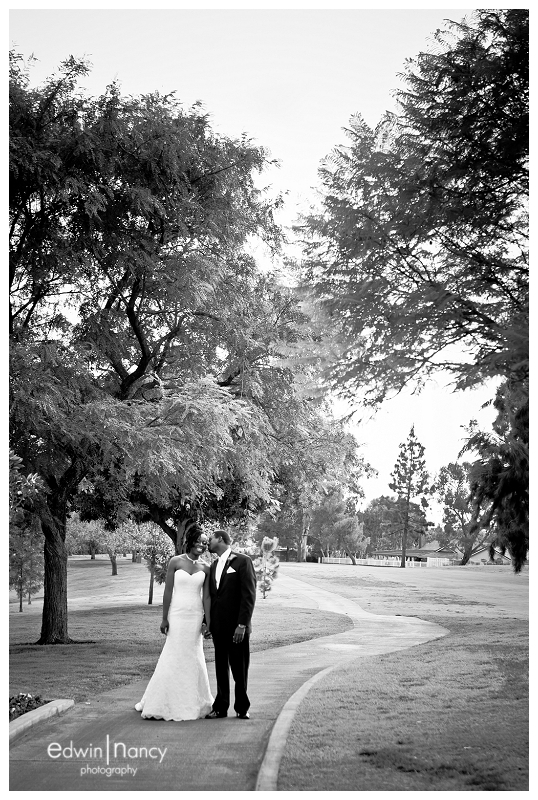 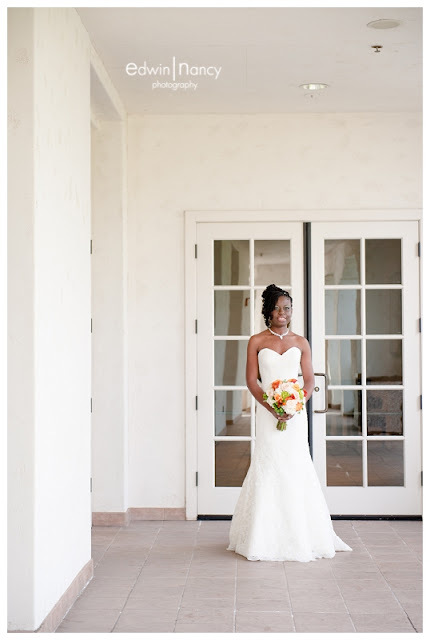 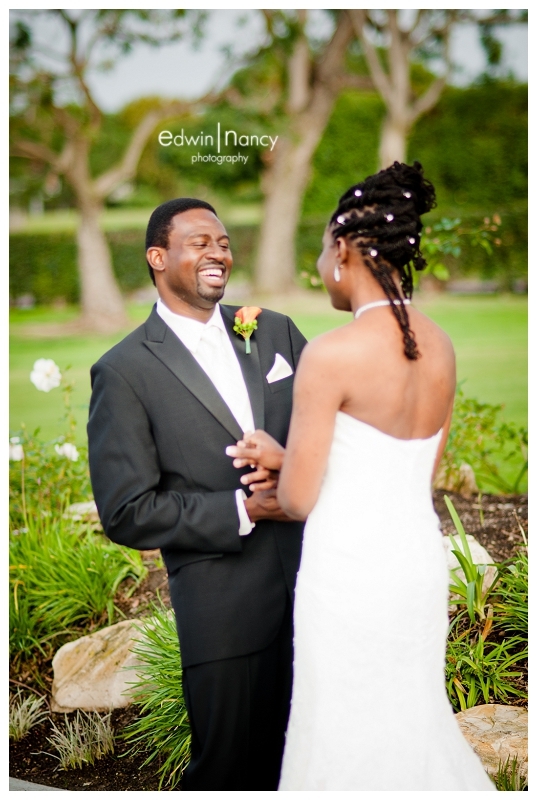 Our last wedding of 2012 was a beautiful Christian Wedding at Los Coyotes Country Club. 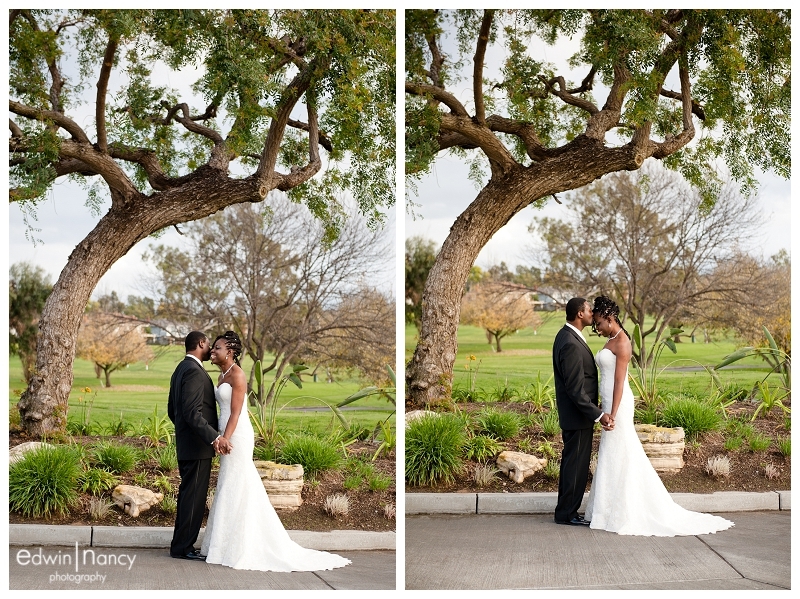 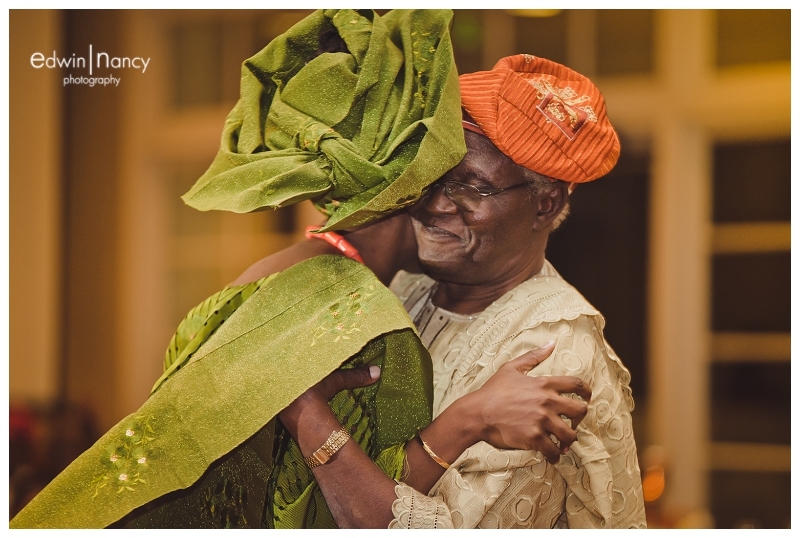 With the perfect winter day Temitayo & Adetutu where set to profess their love before the world, but before that could happen we planned a quiet moment with only them, our cameras, and the videographers for that amazing first look.